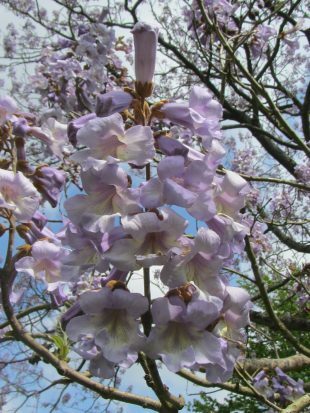 This is the flower of the Foxglove Tree (Paulownia Tomentosa) a fast-growing tree originally from China. This one is on a mature tree in the bishop’s garden at Wells Somerset. Imagine a full-grown tree covered with these flowers – amazing.